I'm starting to think that Cover Girl polishes are very underrated. I know they are not a brand that even pops into your head when you think of drugstore nail polish. They don't release seasonal collections and they're not the easiest polishes to find. However, I've always had good experiences with their polishes and they sell for a reasonable price. They have a selection of standard colors, but they also have a few standout colors and amazing glittery top coats. I don't expect they'll ever be a brand we'll be reaching for, but it's a good brand of polish that I recommend. I think it retails around the same as Maybelline, but less than Revlon around the $3-$3.50 range. 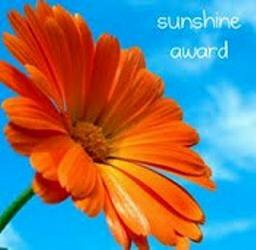 I received the Sunshine Award from the very lovely Girly's Beauty . She has a great blog that features nail polish, makeup, and other beauty products! I'm not going to follow the rules here. I'm going to tag more than 12 blogs. 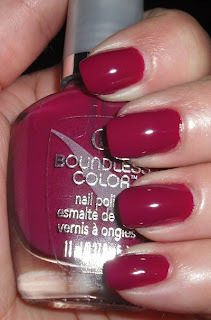 I'm going to tag some recent blogs I've discovered along with new bloggers in the nail/beauty world. Steph! You are super cute & super nice:) Thanks so much, I'm going to start on my list today and check out all of the bloggers you mentioned. thanks for the award steph! That made my day! I just wanted to let you know that you're the best. I know I already left you a comment, but you really are. :-) And everyone else should know that, too! How are the humanities classes treating you? What a great color!! Berry creme colors are my go-to when I can't decide what else to use. Ooooo That is a really lovely berry, now that we are right between summers end and falls beginning thats the perfect now color. Thanks for the award, how nice! :) Have to check other nominees too, but this was a great suprise!